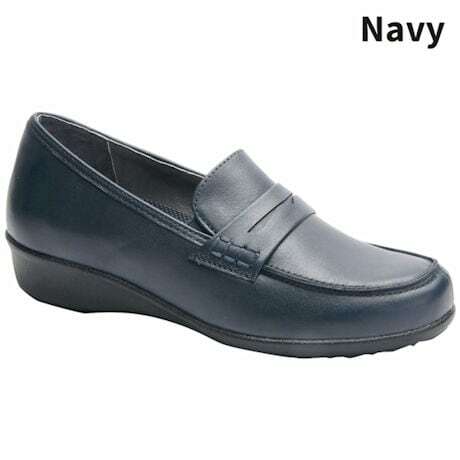 Drew® Berlin women's slip-on leather loafers give you the comfort and stability of an orthopedic in a cute, versatile loafer. 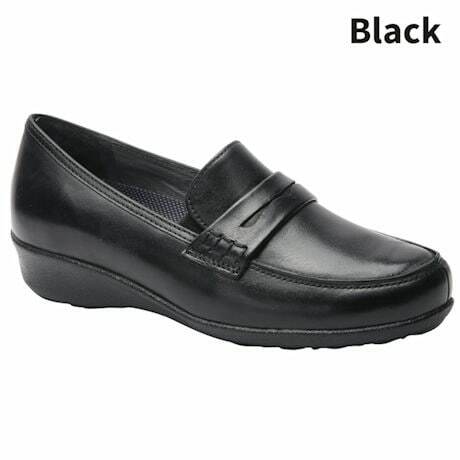 This leather-lined loafer features Drew's Plus Fitting System® with two removable footbeds, so you can make room for wide/sensitive feet and toes, or take them both out to accommodate your custom orthotics. The removable polyurethane footbed has a Drilex® lining to keep your feet dry and healthy, plus maximum padding where you need it for all-day comfort. A tempered steel shank and firm heel counter offer support with every step, which helps to improve alignment and prevent falls. Flexible and lightweight polyurethane outsole.